If you’ve ever read Thomas Hardy’s famed novel, Far from the Madding Crowd, then you understand a little bit about the work of a shepherd. 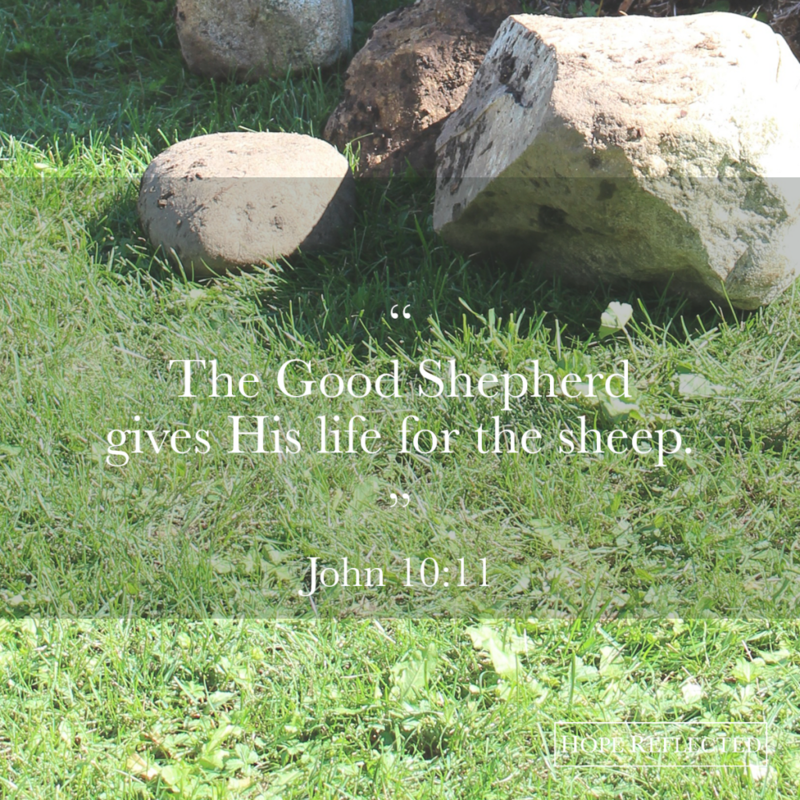 A shepherd has the position of caring for and tending to a flock of sheep – feeding them, leading them, and protecting them. As we read in Far from the Madding Crowd, being a shepherd is anything but glamourous, it can prove to be a dangerous career choice, and it doesn’t get a whole lot of attention. You may have heard the analogy of Jesus as the good Shepherd, Who lays down His life for His sheep. Perhaps you’ve heard the analogy so many times that you’ve never stopped to think about what that truly means. What I find so fascinating about Jesus being portrayed throughout Scripture as the Shepherd is that the Saviour of the world is compared to a shepherd – quite possibly one of the lowliest, least recognized, introverted vocations out there. Isn’t that just the opposite of us? Here on earth, we are in constant pursuit of being recognized, appreciated, and wanted. While each of us may yearn for it in our own way, we all long for recognition. Perhaps you’re pursuing a career as a full-time mother, or maybe you’re a man working long days to provide for his family, or you might even be a recent graduate who’s out working your first “real job” in your field of study – it doesn’t matter your lot in life, the longing is the same – we all want someone to pat us on the back and recognize us. Consider Jesus. While we’re busy pursuing earthly glory, He is pursuing us and seeking after our well-being. Just like a shepherd that pursues his flock, Christ always keeps us in His sight, and even when we screw up, He continues to watch over us and longs to lead us in the right direction. While we’re looking everywhere except to Him for gratification, He is looking after – and looking out for – you and I. As our Shepherd, Christ knows us and loves us. “Before I formed you in the womb I knew you; before you were born I sanctified you.” (Jeremiah 1:5) Long before your parents found out whether you’d be a boy or girl, Christ knew all about you, and who you would grow up to be. He knows everything about you, and He cares what happens to you. As our Shepherd, Christ will protect us. “So we may boldly say: ‘The LORD is my helper; I will not fear. What can man do to me?’” (Hebrews 13:6) Beyond providing protection here on earth, only Christ can provide you with eternal protection. You may have heard the George MacDonald quote “Never tell a child you have a soul. Teach him, you are a soul; you have a body.” While your body will die, your soul will live for eternity – where you choose to spend eternity is up to you, but keep in mind, eternity is forever. Originally published as “As our shepherd.” Minto Express, Independent Plus, Arthur Enterprise-News, Mount Forest Confederate. June 22, 2017: 7. Print. Web.